Now You See Me was a sleeper hit and a breath of fresh air when it was released in 2013. Amidst superhero movies and films based on books, it stood out for being an original story with a stellar ensemble cast featuring the likes of Woody Harrelson, Jesse Eisenberg and veteran actors Morgan Freeman and Michael Caine. 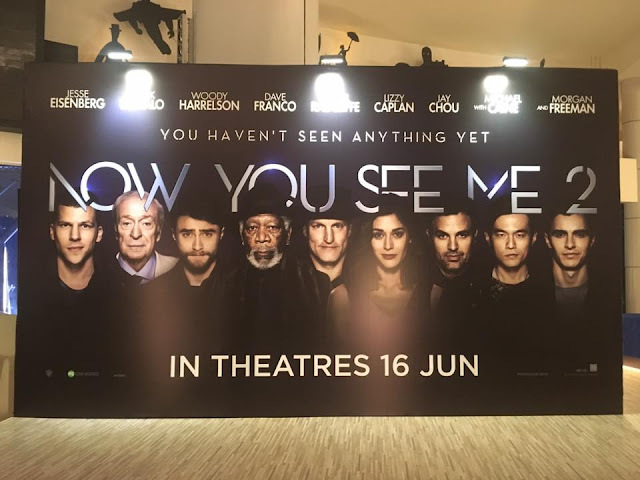 Like many other movie-goers, I was quite enthralled by the special effects and 'magic' on display and when a sequel was announced with an Asian-American director (Jon M. Chu) plus the inclusion of our Jay Chou in the cast, excitement ran high among the fans. In the run-up to the movie's release, Jay had been quick to clarify that his role amounted to only a cameo. As such, I had to tell myself not to expect too much but was still keen as this would now be an original franchise, a rarity in today's cinematic climate. 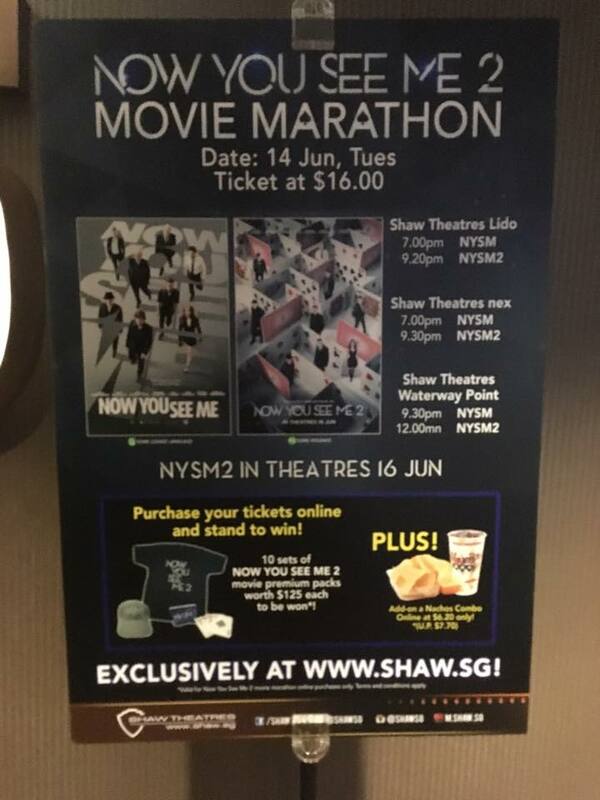 As fortune would have had it, Shaw Theatres organised a movie marathon consisting of NYSM and NYSM2 which coincided with...my birthday! I lost no time booking the tickets and sped through the busy work day on 14 June with anticipation of the treat afterwards. 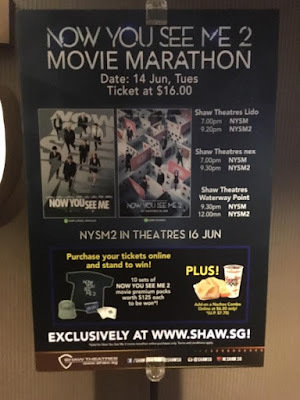 Shaw was also screening a special preview for media, sponsors and other contest winners that same evening so the lobby at Lido was a hive of activity, with an emcee on stage playing games with the crowd and people taking pictures with the gigantic billboard. It was certainly a treat to catch the first movie again and refresh my memory about how it all began. And when it was time for NYSM2, I was all ready to savour some movie magic and keep a close watch for our Jay. I had already written in earlier blog posts about his appearances in the movie and true to what he said, his role was not that huge and did only amount to at most 20 minutes in all. Not at all like in The Green Hornet, where he practically stole the show from Seth Rogen. As such, I felt he was severely under-utilised in NYSM2. 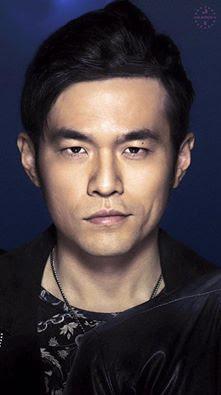 However, his presence on the posters, the open ending of the movie and some interesting information from director Jon M. Chu in various interviews hint at a more developed story for his character in NYSM3. I did enjoy NYSM2 very much too, for its bigger scope and further development of Mark Ruffalo's character. Lizzy Caplan was a delight to watch and Morgan Freeman is just Morgan Freeman...'nuff said. So....have you seen them yet? ?